People constantly seek to create higher levels of understanding and depth of thought. One of the purposes of higher education is to help people understand their world and encourage ways to critically think about it. A method of doing this is to become more aware of yourself and the world in which you live. This requires the ability to think about your premises and understand the way you think in order to remove as many fallacies as possible. More accurate thinking comes with higher levels of conscious awareness and is a sign of a person’s reflective intelligence. 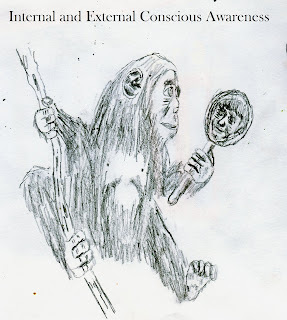 The ability to understand one’s environment by being able to focus attention outward (consciousness) or inward toward oneself (self-consciousness) creates a higher form of understanding (Mead, 1934). As one becomes more aware of the environmental information and internal information they contain about themselves they move up in progression of understanding. This creates higher levels of accurate thinking that can be used to achieve goals. One develops such higher order thinking through their conscious awareness of themselves within their environment. One can define it as, “A conscious experience is reflexive in that it consists in part in awareness of itself” (Block, 2007, pp 8). It means that one is consciously aware when they can reflect on their experiences to gain a better understanding. One can describe this experience as meta-cognition or thinking about thinking. When one gets good at understanding their internal states they begin to have authoritative self-knowledge. This self-knowledge comes from thinking about thinking about one’s current thought as in the cognito-type reflections (Burge, 1988). In essence, one thinks about their previous thoughts in order to understand their current, past or future internal states. Introspection is the handmaiden of higher order thinking. According MacDonald (2008) when one can grasp the nature of one’s thoughts they can also grasp a chain of previous thoughts and introspect on them. The more aware one is of the data that go into those thoughts and various feelings that were associated with those thoughts the higher their state of conscious self-reflection. If one has multiple levels of such experiences and are aware of them through self-reflection they can come to more accurate thinking by rooting out bias. Some people can go to a point of having meta-self-awareness which is one of the highest forms of consciousness. This meta-self-awareness affords an opportunity to create complex understandings of oneself as well as models of other people’s perceptions (Vogeley& Fink, 2003). This extended consciousness affords an opportunity to understand others perceptions by reflecting on them and their behavior. It is an ability use that model to predict behavior and make more accurate choices in an environment full of people’s impressions. Lau and Rosenthal (2011) argue that a high order conscious awareness is based on stronger mental representations of internal states of awareness. As one becomes more complex in their thinking they not only become more aware of themselves but also the world around them. This higher order of environmental understanding encourages survival in difficult situations. It helps to ensure that people make appropriate decisions based upon the internal and external information available to them and ensure accuracy of goal attainment by accurately predicting their environment. -Understand yourself in your environment. -Reflect on your past and use that information to make better choices in the future. -Develop your emotional intelligence and understand where your feelings come from. -Think about why you think something is true or not true. -Realize the limitations of others and their perspectives. Block, N. (2007). Consciousness, accessibility and the mesh between psychology and neuroscience.Behavior and Brain Sciences, 30. Burge, T. (1988).Individualism and self-knowledge.Journal of Philosophy, 85. Lau, H. & Rosenthal, D. (2011).Empirical support for higher-order theories of conscious awareness.Trends in Cognitive Sciences, 15 (8). MacDonald, C. (2008). Consciousness, self-consciousness, and authoritative self-knowledge.Proceedings of the Aristotelian Society, cviii (3). Vogeley, K & Fink, G. (2003). Neural correlates for first person perspective. Trends in Cognitive Sciences, 7 (1).